FORT WAYNE, Ind. (WOWO): Fort Wayne Mayor Tom Henry delivered his annual State of the City Address yesterday to a standing-room-only crowd at the Grand Wayne Center… but not everyone was a fan. Republican Mayoral candidates Dr. John Crawford and Tim Smith were also in attendance. Crawford, who also serves on the City Council, tells WOWO News Henry took too much credit for himself. He does admit, though, that the City is in good shape. Smith added he felt Henry didn’t address what he called the city’s “growing debt” to pay for recent developments and upgrades. 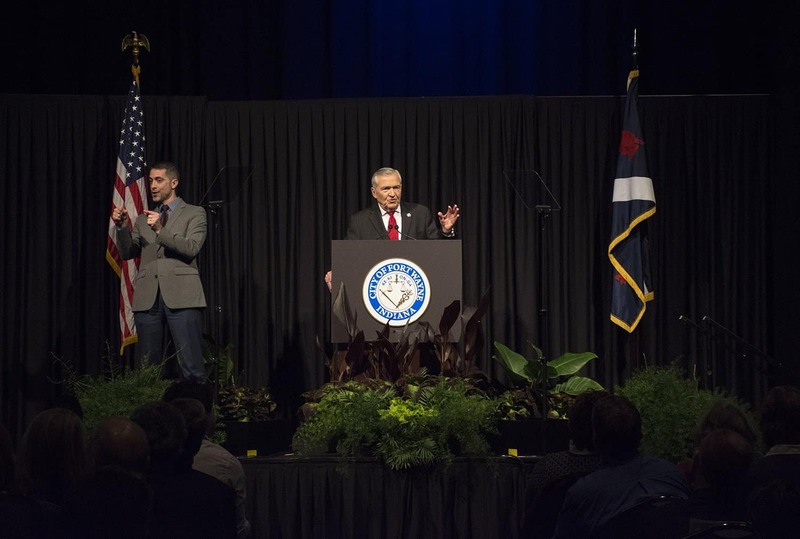 Listen to the State of the City Address here.